Get a overview and facts about the Long Term Visit Pass (LTVP) for certain family members of eligible Employment Pass or S Pass holders. Common-law spouse, step-child or handicapped child of an eligible Employment Pass or S Pass holders those earning S$6000 and over $12,000 can also bring in their parents for up to 2 years, tied to the validity of the main work pass holder. 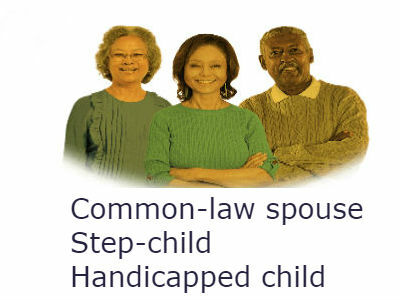 Eligible for Common-law spouse, Unmarried handicapped children above 21 years old & Unmarried step-children under 21 years old. LTVP application for LTVP can be processed via Employment Pass Online (EPOL) by an employer or appointed employment agent must apply on behalf of the candidate. Copy of the common-law marriage certificate or A letter from the embassy acknowledging that the work pass holder (WPH) and spouse are in a common-law relationship under the laws of their country. A letter or report from a medical doctor on the child’s condition.
. Court order on the child’s custody. foreign-born children aged 12 years old and below. * Existing LTVP pass holders do not need this document.
. Work pass holder’s birth certificate that states the names of the parents. You can apply to renew a Long Term Visit Pass up to 6 months before it expires. You must apply before the expiry date. Your application has to reach us at least 2 months before the pass expires. Hi to every one, it’s genuinely a good for me to pay a quick visit this web site, it consists of useful Information. daily basis. I’d like to start a blog so I can share my own experience and feelings online.